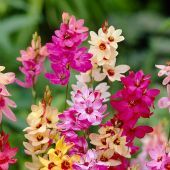 When the soil has warmed up enough in late Spring you can plant ixias in a warm, sunny location, sheltered from the wind, in well-drained, preferably sandy soil. Water well initially after planting. 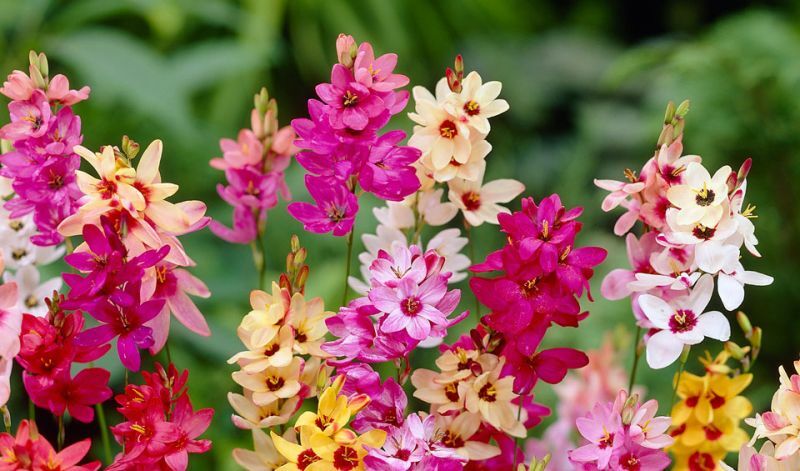 They grow best in a clump so plant at least 10-20 bulbs in a group. During the Summer do not water ixias too much: they will do better when grown on the dry side.